Amongst the country’s operatic elite, Rosalind Plowright is known for her intelligent musicianship, versatile acting ability and compelling stage presence. Having conquered most of the leading soprano roles in Italian opera in the 1980s, she gravitated towards the dramatic mezzo-soprano repertoire, in which she similarly excels. Her career spans 35 years of performing in virtually every major opera house in the world. Recent appearances have brought her to Covent Garden, The Metropolitan Opera, Paris, Japan and the Proms. On TV she appeared in two episodes of “House of Elliott” and “The Man who made Husband’s Jealous,” the adaptation of Gilly Coopers novel. She helped develop and starred in “Two’s a Crowd” a musical comedy which received five star reviews and in 2009 joined with the Monty Python team in Eric Idle and John Du Prez oratorio based on “Life of Brian” Not the Messiah – He’s a Very Naughty Boy. Rosalind Plowright has performed with “The Three Tenors.” Her American debut was alongside Jose Carreras and they also sang Andrea Chenier at Covent Garden and recorded La Forza del Destino for Deutsche Grammophon (which won best opera recording from Gramophone). With Placido Domingo she has performed II Trovatore at Covent Garden and recorded the opera with him for Deutsche Grammophon for which she was personally awarded the Prix Fondation Fanny Heldy. With Luciano Pavarotti she performed Aida at Covent Garden and a gala concert for 25,000 at the Arena of Verona. 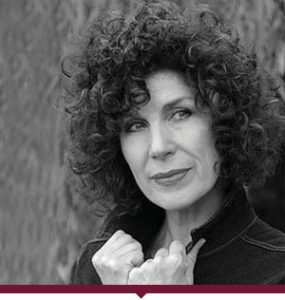 Rosalind Plowright has performed with all the major orchestras and has given many recitals with the late Geoffrey Parsons in over 20 international festivals. Rosalind Plowright gives Master Classes throughout the world and enjoys working with young artists through her home based Mini Master Class series. Over the next two years Rosalind Plowright will perform in Stuttgart, Bregenz, Madrid, Paris and Covent Garden.